"According to our data, a resident of the Nadterechny district of Chechnya, Khava Akhyadova, 35, died in the settlement of al-Shaaf in the province of Deir ez-Zor as a result of an air raid by the international coalition forces," Kheda Saratova, member of the Human Rights Council under the Chechen leader, said. "…As a result of a missile strike on a house in the same area, 4-year-old Khalid, the grandson of Rosa Yuzbekova from Dagestan, was killed," Saratova, who is also a member of the working group on the return of Russian women and children from the Middle East conflict zone, added. 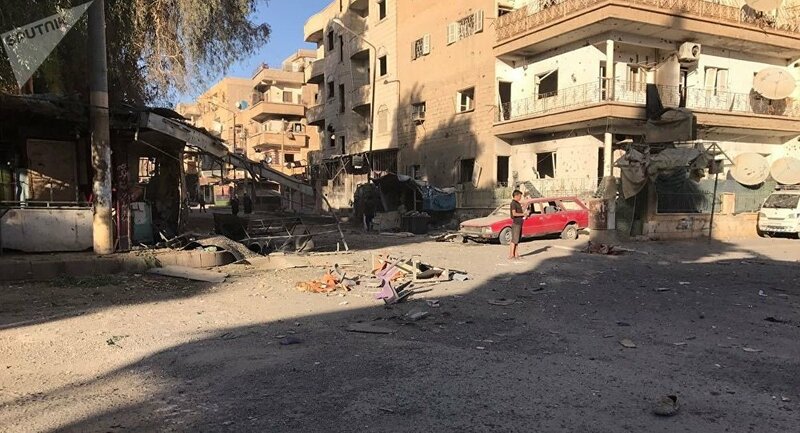 In November, the Syrian Arab News Agency reported that the US-led coalition had used internationally prohibited cluster bombs in airstrikes on Hajin and Sha'afa. Previously, multiple Syrian media reports alleged that toxic white phosphorus munitions had also been used in the coalition's repeated attacks in the region. The Syrian authorities have repeatedly urged the United Nations to take measures targeting the perpetrators of the attacks and put an end to the coalition's unauthorized presence in Syria.